Tall comfort with slim and modern looks. 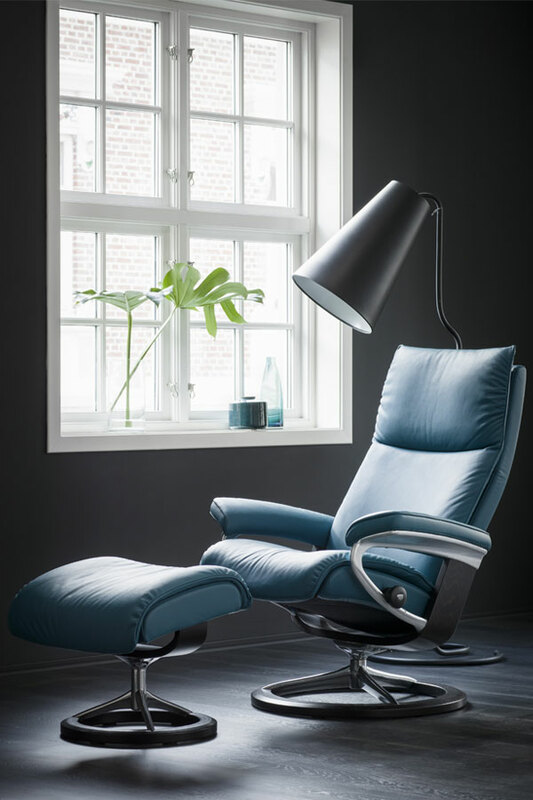 From the moment you sit down the Stressless Aura has a hugging effect on your body. The tight and elegant back combined with the enveloping back and seat cushions provides an exciting and eye catching look. All Stressless comfort features are of course in place and will deliver that great Stressless experience time after time. The leather will change its character over time and gain patina - giving it a distinct and unique look.